Sangberg Architects is located in Copenhagen, close to Nordhavn – a part of the city which is undergoing a transformation from an industrial harbor to a multifunctional and climate proof neighborhood. 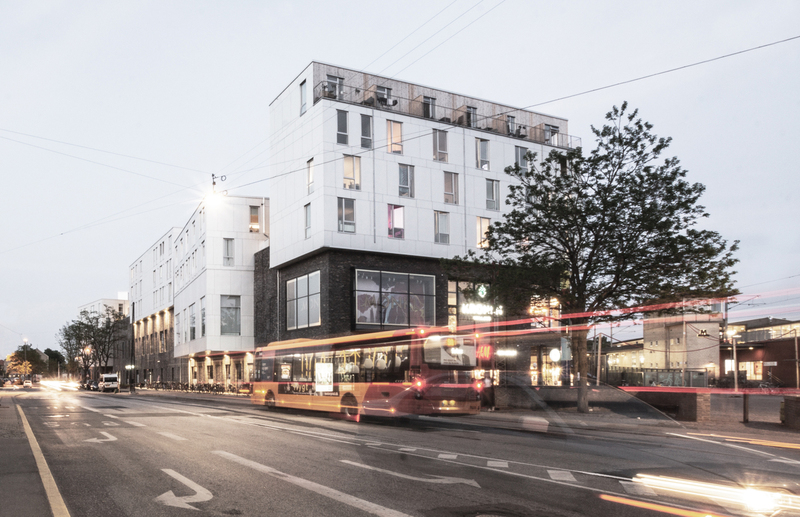 Sangberg is cooperating with COBE, SLETH and Rambøll on a masterplan for the massive development area, of which Sangberg has designed a number of housing projects and urban spaces. The studio’s ambition is to create environmentally friendly cities and their core competences lies within urban spaces, buildings and urban planning. Sustainability is an integrated part of all the studio’s work. Sangberg emerged when the award-winning studio POLYFORM was divided into Werk Architects and Sangberg Architects back in 2016. Today Sangberg engages a team of 19 employees including architects, landscape architects, building constructors and PR-professionals. In addition to Nordhavn the projects include; Hauser Plads / Cleaning Facilities Center, the garden of the National Gallery of Denmark, the outdoor areas by the former NOMA restaurant, Tagkronen in Vanløse as well as a number of other masterplans, climate adaption projects, landscapes, urban spaces, constructions and housing projects. Soon 68 climate-friendly homes will be delivered to Helgoland for occupancy during the summer of 2019. Sangberg works by the mantra: ‘The future is light’. “Construction with heavy materials is not sustainable. It is self-explanatory; the heavier the materials, the greater the proportion of the material is used to carry its own weight. This means that even more materials and energy are used just to keep a house standing. The lighter the materials you build with, the less material and energy you will use. 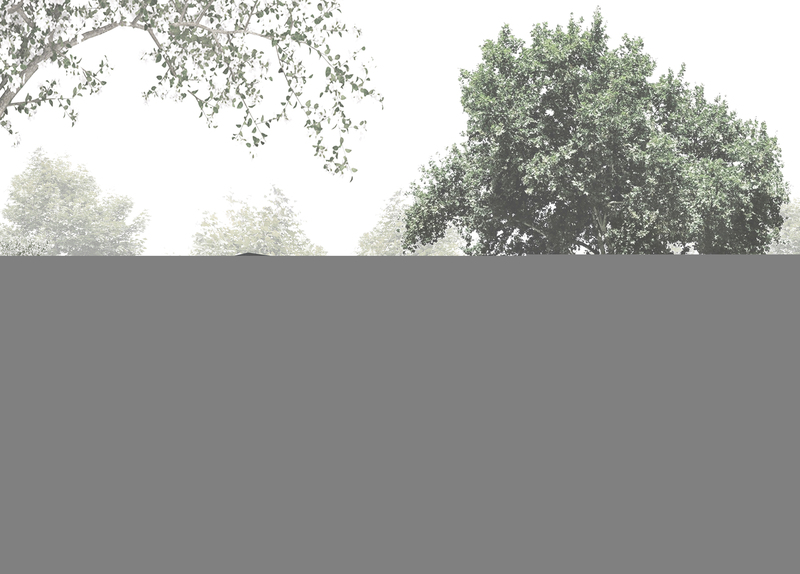 Build lightly – that is sustainable,” explains Jonas Sangberg, architect and partner at Sangberg. One specific project where the studio implements its ‘the future-is-light’-thinking is ‘VoksenPlus’ that translates into AdultPlus. VoksenPlus is a new climate-friendly concept for senior living communities. The project is developed by Tetris A/S in collaboration with Sangberg. The goal is to accommodate the rapidly growing group of seniors and their wishes for sustainable and attractivehousing. One thing is the quality of the house itself – but in addition to that VoksenPlus fulfills many seniors’ wishes to participate in everyday communities. 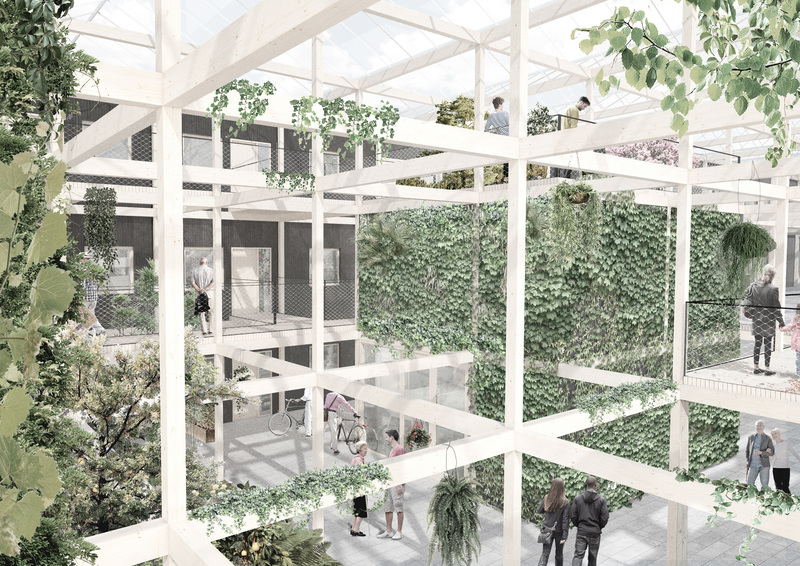 To support this the homes of VoksenPlus are organized into a block building linked by an atrium garden – a covered garden space that draws nature right into the settlement and allows spontaneous meetings between residents and visitors. This way the residences contribute to counteract loneliness among elderly. The homes are built as modular buildings in wood. The use of wood – which is one of the world’s most sustainable materials – combined with the focus on recyclable building materials, make VoksenPlus become a part of the circular economy. The plan is to build around 2,000 homes within the next 4 years spread out on a number of different projects in Denmark. The combination of a modular construction system, and the spread over a number of specific building sites makes BIM obvious as a sketching tool and design tool. Signe Kjær is an architect at Sangberg and has been one of the central persons behind the VoksenPlus-project. She says that the modular concept makes it easy to adapt the homes to the respective areas in which they are to be built. “VoksenPlus is the result of an extensive development work where the goal has been to develop a concept based on modules that are both sustainable and can be applied on different building sites. During the development phases we have used ARCHICAD’s Teamwork technology which is ideal for a large and complicated project where a lot of people need to cooperate. Amongst other things Teamwork allows several team members to log into a given project at the same time and reserve the exact part of the 3D-model they wish to work with. 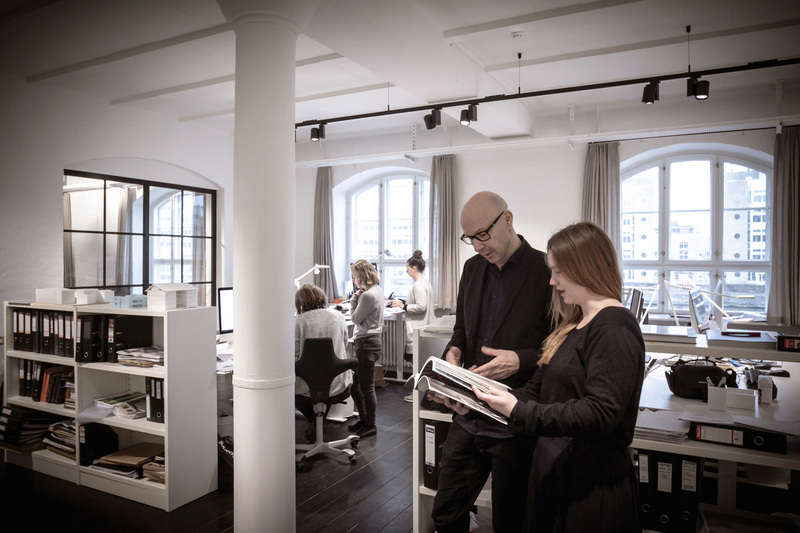 For example, it is possible for me to work on the facade and the space plans while my colleagues work on another part of the project.” Signe Kjær explains. ARCHICAD is not only good for sketching but offers a number of advantages when the concept must be adjusted for different building sites. “Overall, VoksenPlus consists of three types of housing units that are put together differently depending on the location. Once we have got the basic concept in the 3D-model we use ARCHICAD’s ‘Hotlink’-function to adapt the concept to the specific building sites. Furthermore, Hotlinks make it easy to implement changes late in the process; as for example, you can just change the 3D-model of a housing type and it will automatically impact the site-specific project models and all the associated drawing material.” Signe Kjær points out. Sangberg works with OpenBIM and exchanges data within an IFC-format so no matter what software is used, everyone involved has the opportunity to collaborate with a BIM-based approach. Assembling all data in one file makes it easier for advisors to secure the quality and for developers to calculate the exact costs of the project. To Sangberg BIM is a natural part of the workflow. The future is light, and BIM makes the process even easier. The article is from the Scandinavian online portal NordicBIM.